A unique event. 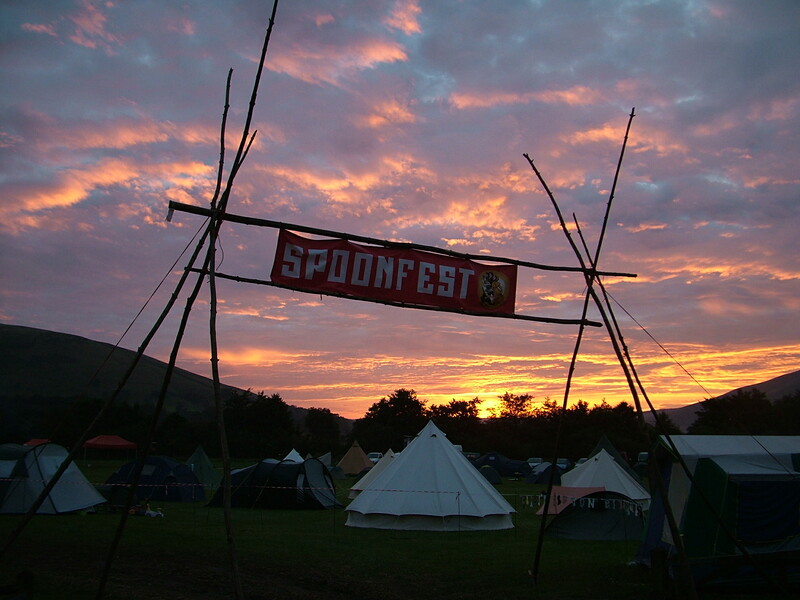 A fieldful of people getting together to share knowledge about spoons and a lot more spoon-related knowledge. 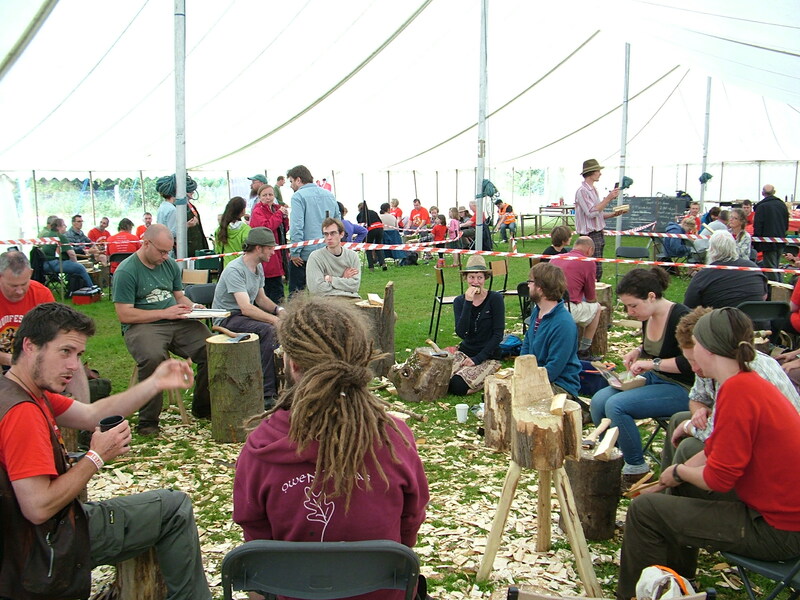 Spoonfest was organised by Barn Carder (AKA Barn the Spoon) and Robin Wood, as a weekend international extravaganza incorporating workshops for people just starting out spoon-making, engraving spoons, carving as a work-out for the body, rather than punishment, bacon butties, local beer, large piles of a dozen species of wood to sit and carve and burn on the camp fires. 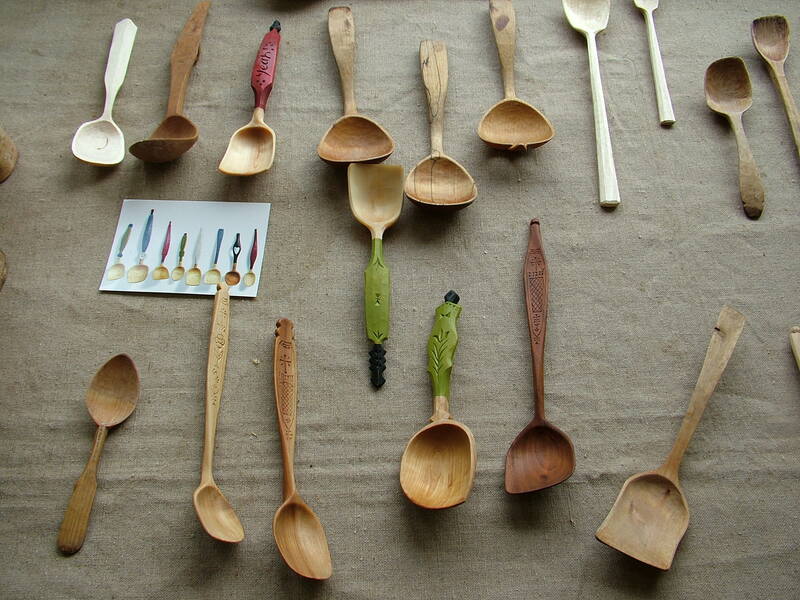 There was no competition, there was a spoon shop, also a very diverse display of spoons from around the world. Fred Livesay, all the was from Minnesota. 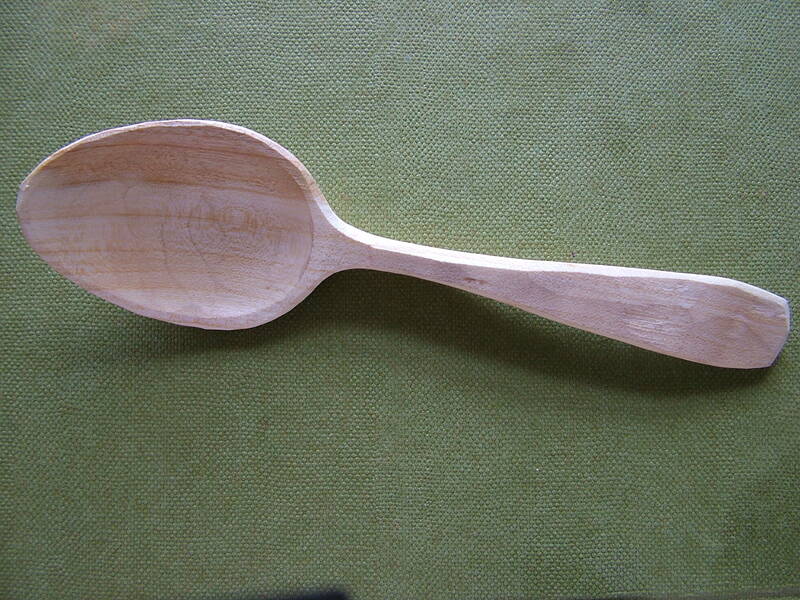 Fred discovered his woodworking skills at age 10. 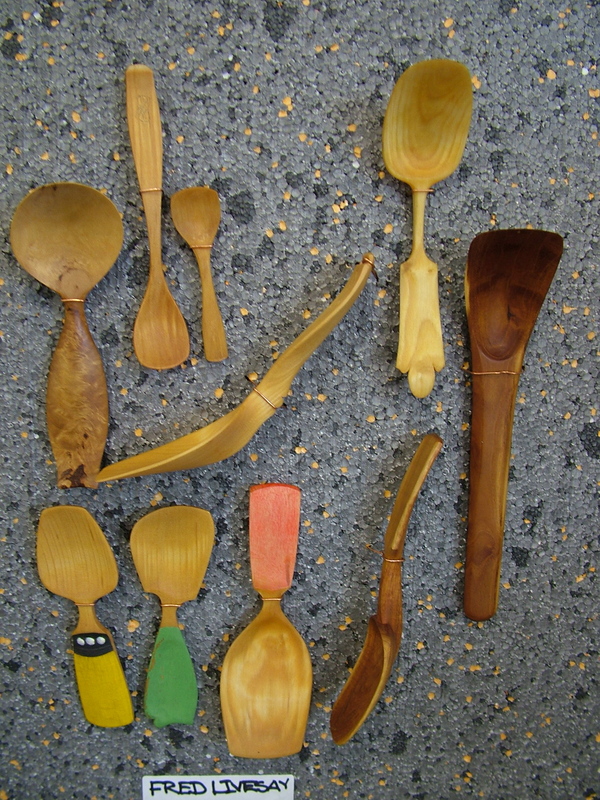 He later trained as a wheelwright and carriage-builder for seven summers, and then went on to study Scandinavian folk art, decorative arts, art history, and museum studies, and boy does he carve beautiful spoons! 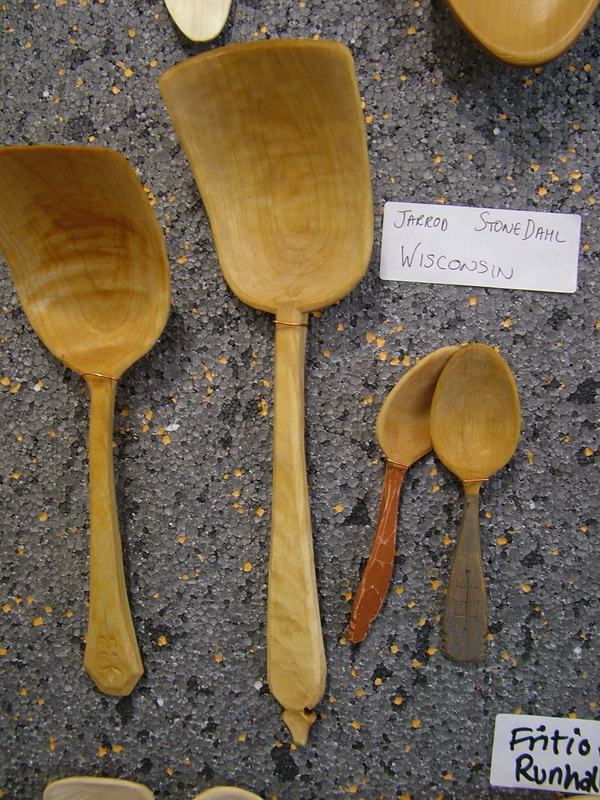 I got to know him later in the week and he’s a great gentle guy (like all the spoon carvers I know, I wonder why that is?). I think I’ll add some paint to the handle when it’s dry. These are Jogge Sundquist’s. He really is the master of spoons. A couple of the very fine ones at the bottom are his father’s. Wow! 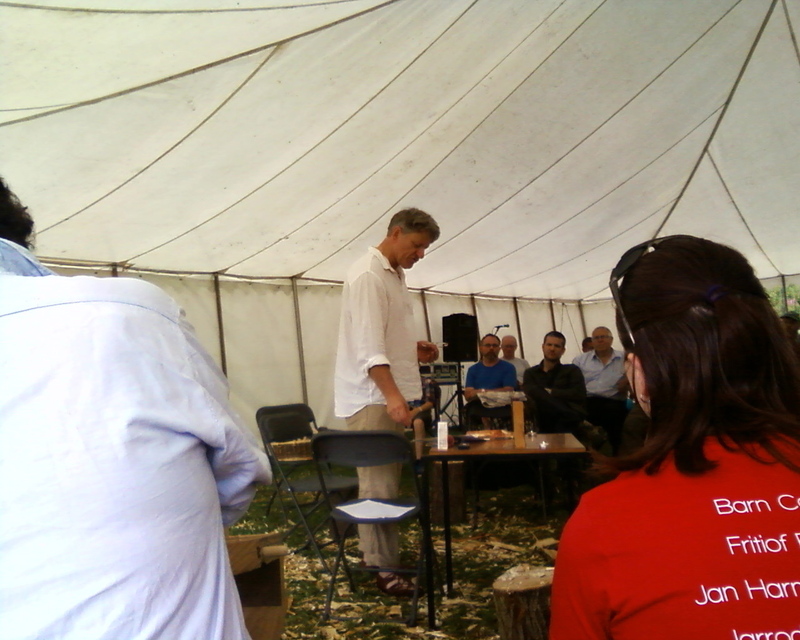 Jogge gave a great demo on the Saturday – I’d missed his talk and class on the Friday as I was still in Cumbria. There were just too many spoons to post here, but it was a real feast for the eyes and the brain. 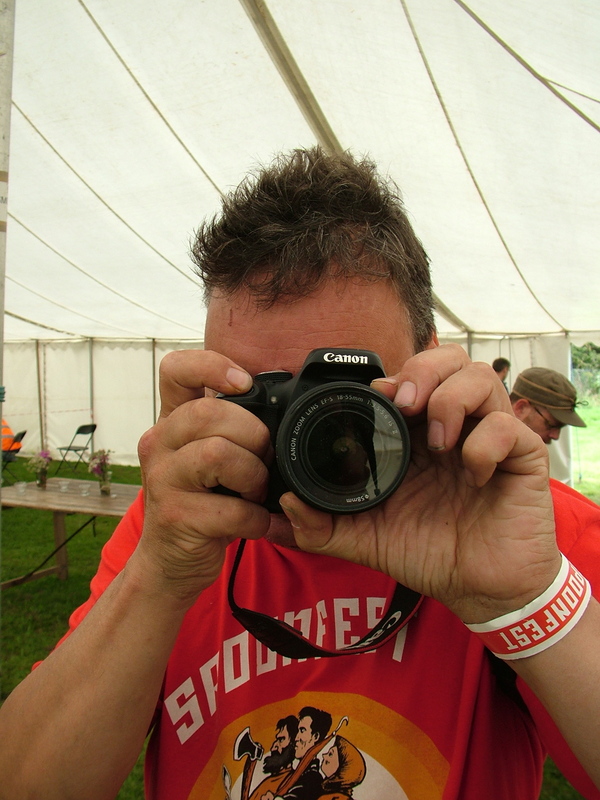 There were lots of great friends and new friends to meet too, here’s my mate Sean, we snapped each other. He looked very stylish in the new haircut and T shirt that everyone was wearing. 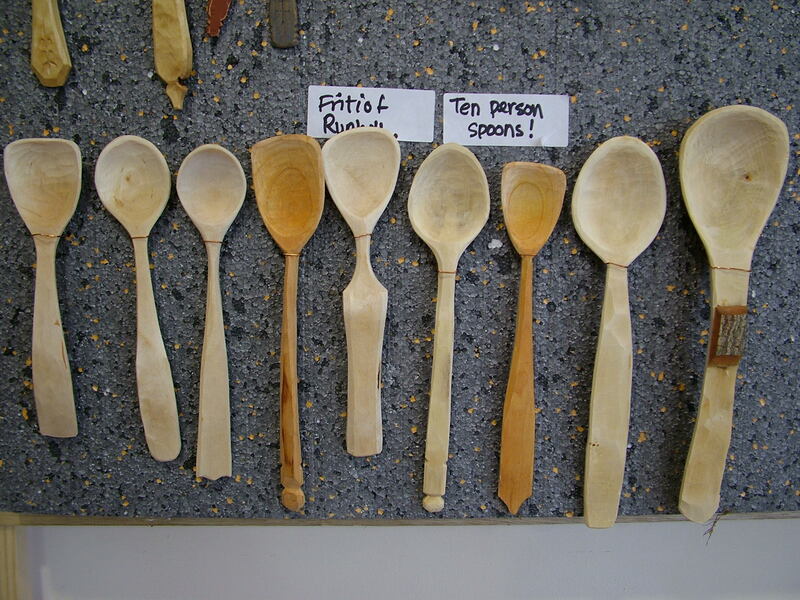 Steve Tomlin gave a very good seminar on improving your spoons. I found this really helpful. 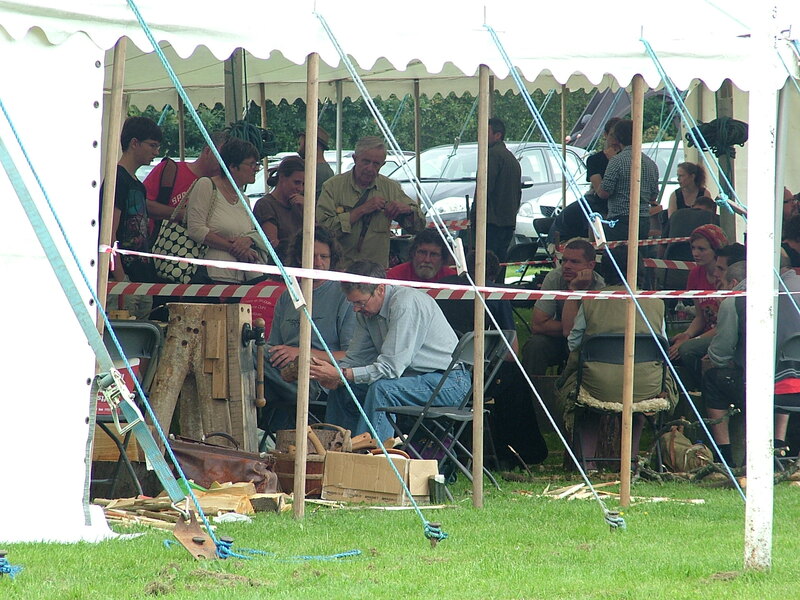 I also found Terence McSweeney’s workshop on stance while carving and working in general very helpful indeed, I am very aware that it is easy to damage your back without really trying, but keeping it straight whilst working is a good route to keeping it healthy. Thanks very much chaps! I enjoyed the Sunday morning sermon on the search for the patron saint of spooncarving (St. Peter Damian) by Martin Hazell. What a great weekend! Many thanks to all who put in so much work to create such a successful fulfilling event. Hope you can manage it again next year. This entry was posted in Days off, Green woodwork, hand made, Slow and tagged bark sheaths, spoon carving by Flying Shavings. Bookmark the permalink.